BASNET Forumas is mourning the passing of its longstanding Chairman of association’s Executive Board and alternate of the EPWS BoA member Dr. Alicija Kupliauskienė. 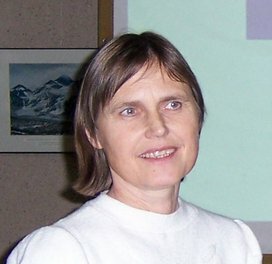 Alicija Kupliauskienė was internationally known Lithuanian physicist. She graduated from Vilnius University and received her PHD in the theory of atoms under supervision of the outstanding Lithuanian physicist Adolfas Jucys. Her scientific achievements were evaluated by National Lithuanian Science Award. Dr. Alicija Kupliauskienė was among Lithuanian women scientists who initiated FP6 project BASNET and establishment of regional Baltic States association BASNET Forumas. She also was involved in IUPAP women in physics activities as first Lithuanian team leader. Alicia contributed strongly in raising awareness of scientific society to the gender equality problem in research.